Nite » Dancing for the King and Queen! Dancing for the King and Queen! Did you see us on King’s Day?! We were live on TEEVEE. Artistic leader Guy Weizman gave a tour of the Martinikerk and the dancers gave a short performance. It was fun, it was cool, it was crazy. 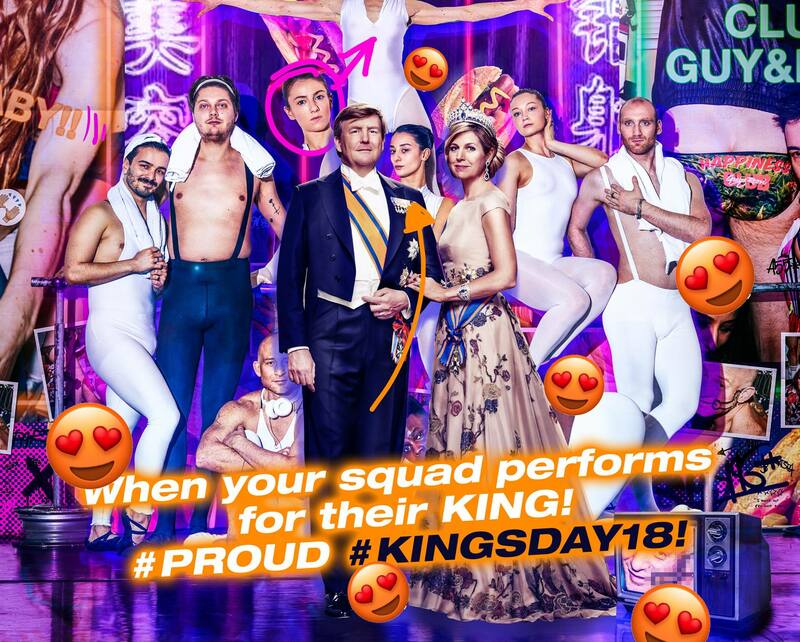 We will never forget King’s Day 2018.